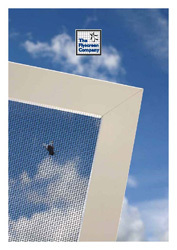 The Flyscreen Company delivers to all over the UK and Ireland by one of our approved carriers. All goods are tracked for traceability. Please inspect all goods immediately on receipt and if the packaging is damaged you must write “DAMAGED” on the driver’s delivery note. You must inform us of any damage or missing items within 48 hours. Domestic customers are advised to have goods delivered to a work address if they are unavailable to receive goods during the day. We cannot give a delivery time in advance. Goods are dispatched by us on a 2-3 day service or, if specified by the customer, an overnight service is available for an extra charge. We cannot take responsibility for delivery once goods have been dispatched by us. Some postcodes including highlands and islands will incur a delivery surcharge. Please inspect all goods immediately on receipt and if the packaging is damaged you must write “DAMAGED” on the drivers delivery note. You must inform us of any damage immediately. Only in this instance can we replace goods. If you have ordered mesh or DIY kits incorrectly you may return them to us, once we have inspected them only then can we give a full refund.